With over 25 years of running his own businesses, entrepreneur and international speaker Warren Cass has experienced huge success and tasted the bitter pill of failure. He's a straight talking guy with a no-nonsense but patiently wise style. In this podcast, we focus on effective communication and influence, and how strategic development of these is the key to successful business relationships. We share stories of screwups, discuss business vs personal branding and the power of words. Warren firmly believes we live in times of significant change. He explains to stay ahead of the curve, we need to understand the game. 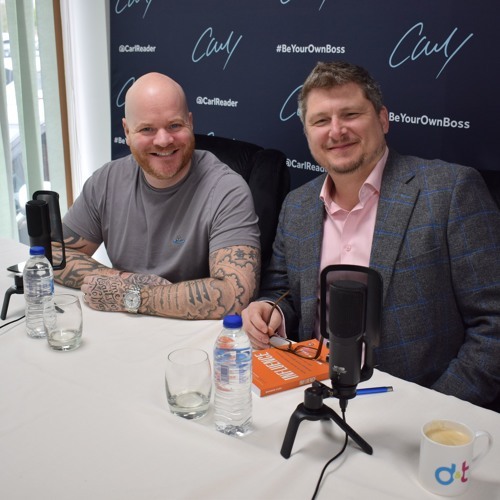 This podcast is brought to you by d&t advisory, helping you unlock the magic of your business, and sponsored by QuickBooks – helping UK small businesses stay on top of their finances. For more The Carl Reader Show, follow me on social media @CarlReader.